My fascination with Swedish food started many years ago, when I was reading Astrid Lindgren's books as a child. A few mentions of the Swedish recipes which sounded to me so delightfully exotic, made me want to try them all. Of course, my Mum cooked the most delicious meatballs, but for some reason Freken Bok's kötbullar ( FB is a grumpy housekeeper in Karlson on the roof series) sounded much more appealing. Thanks goodness, it seems to have blown over as well. 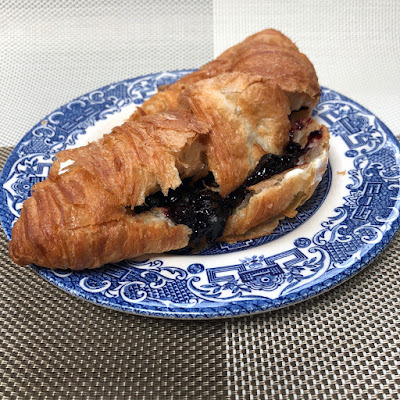 And while I am probably the most untrendy blogger, by ignoring all the suggested food swings, I do enjoy trying new recipes and foods. Last year when getting through the piles of newspapers, deciding what to recycle, I came across a promotional page for Ocado, offering a free delivery for a year. It sounded good, I've never shopped in Ocado before and decided to give it a go. Browsing the online shop, I discovered the Swedish isle, and the rest is history. The list of Swedish products below is quite random, there is no system, these are just the foods and drinks I bought and tried. I didn't buy them all in one go, but added one or two items at a time. I always wanted to try a Swedish bilberry soup, but for some reason never actually made it, though you can find recipes online easily. This is not a soup as we know it in the UK. 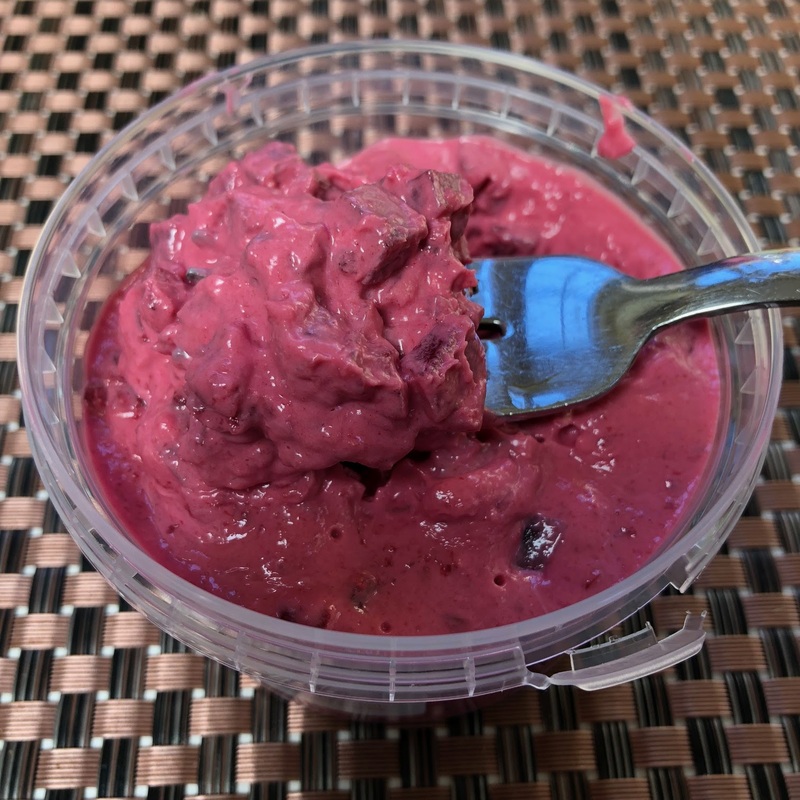 It resembles strongly a sweet drink which we call a kissel in Russia, and it's made of berries or fruit with a little bit of starch like potato flour or corn starch. It's a light soup/drink, with 50kcal and 11g of sugar per 100g. This is a classic Swedish dish, which you eat cold or warm. In the hot weather it's a lovely treat, eaten straight from the fridge. Bilberries are hard to find in the UK, not sure why they are not cultivated as widely as blueberries. They are similar in taste to blueberries, but bilberries are smaller in size and have more vitamins. I've only seen dried bilberries in the shops, and never fresh ones. Back to our soup: it is tasty, and I will definitely buy it again. Abba Swedish Herring Marinated with dill will appeal to pickled herring fans. 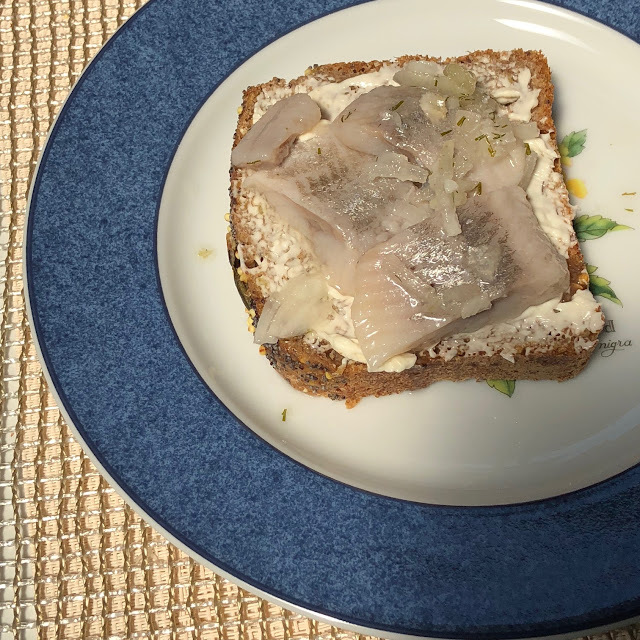 Ingredients include herring pieces, sugar, onion, salt, vinegar, dill, dill extract. Catch areas: Norwegian sea, North sea. It's tasty with a plain potato salad with lots of soured cream and fresh dill, or on a rye bread, buttered liberally. The marinade is quite sweet and not as sharp as some of the British marinades for herring you can buy at the supermarket delis. 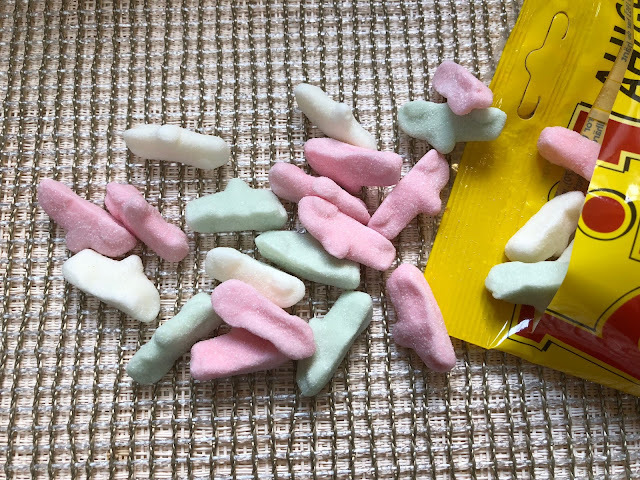 These strange-shaped candy pieces (are they supposed to be mice? teeth with roots?) 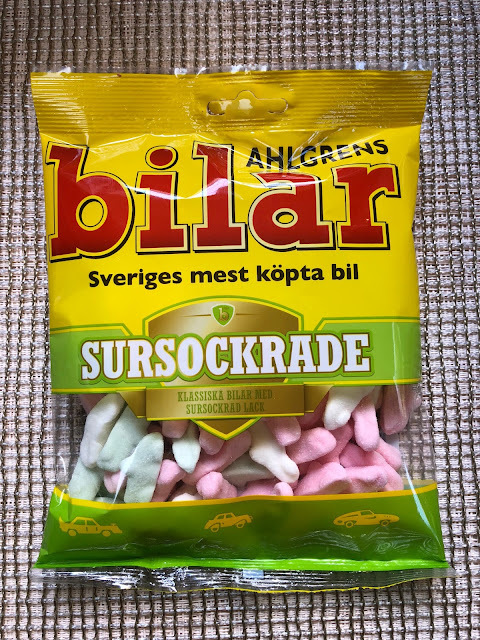 might be quite iconic in Sweden, but I don't think I'd be buying them again. So sour, it's a bit of a sensory overload. Nutritional information: 352kcal per 100g, quite a few E-numbers (E334, E270, E141, E120). 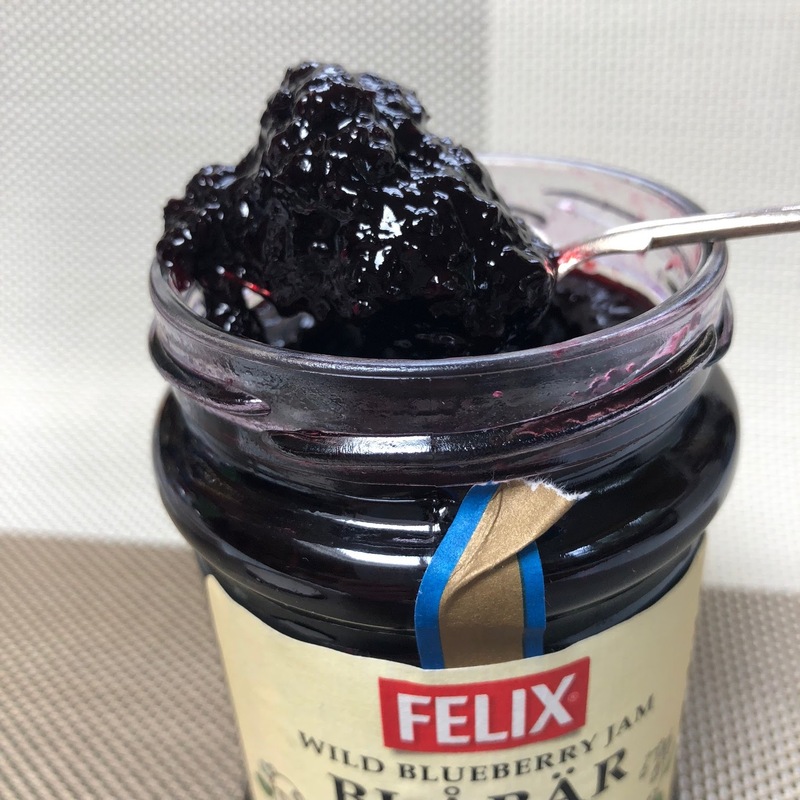 The first time I've tried a product from Felix was a couple of years ago, when Degustabox included one of their products in their food box. 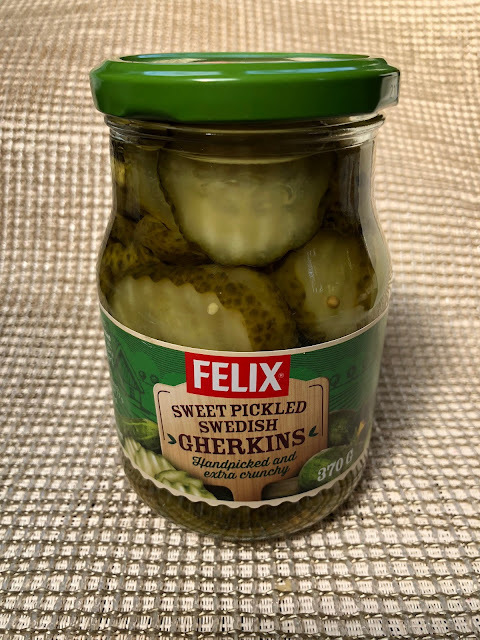 It was a jar of Felix sweet pickled gherkins, which I loved, and have been buying quite often. Sweet pickled gherkins are delicious flavourful pickles. They are made, using a traditional recipe with vinegar, sugar and spices. Add them to any savoury dish, for example, a Swedish potato salad. Since then I have come across more foodie delights from Felix. Felix Blåbär (Wild blueberry jam) is a Swedish delicacy. 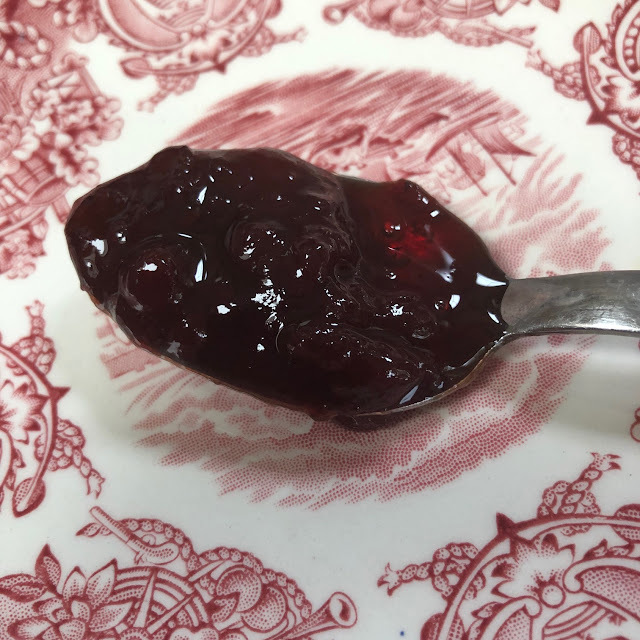 It's a delicious jam, which is wonderful on toasted bread, or spooned into a thick Greek yogurt. And if I thought that the blueberry jam is delicious, then I was in for a bigger treat with Felix Lingon (wild lingonberry jam). This is a pure heaven in a jar. 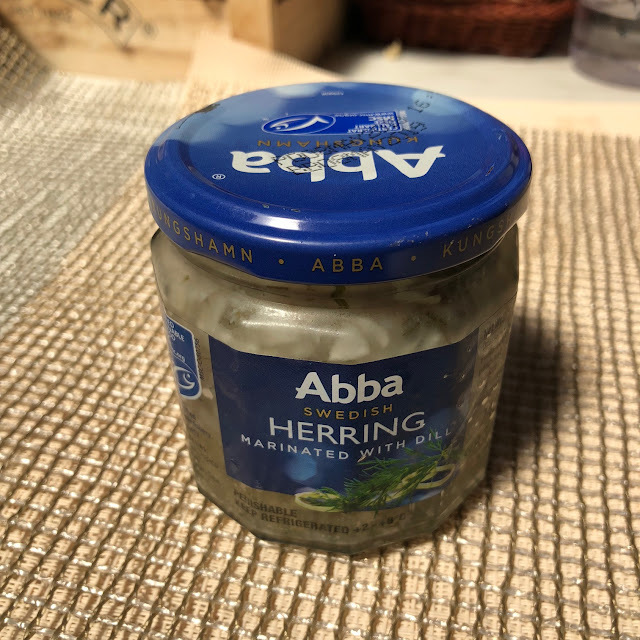 This delightful condiment is a popular ingredient in the Swedish cuisine. 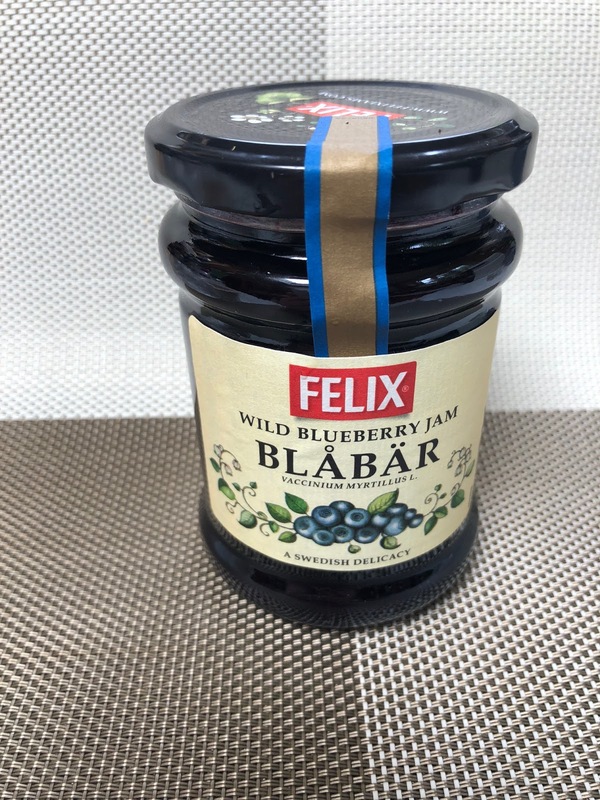 Felix Jams call it "a must-have in every Swedish household". It is sweet, with a tart note. You can have it in both sweet and savoury dishes. 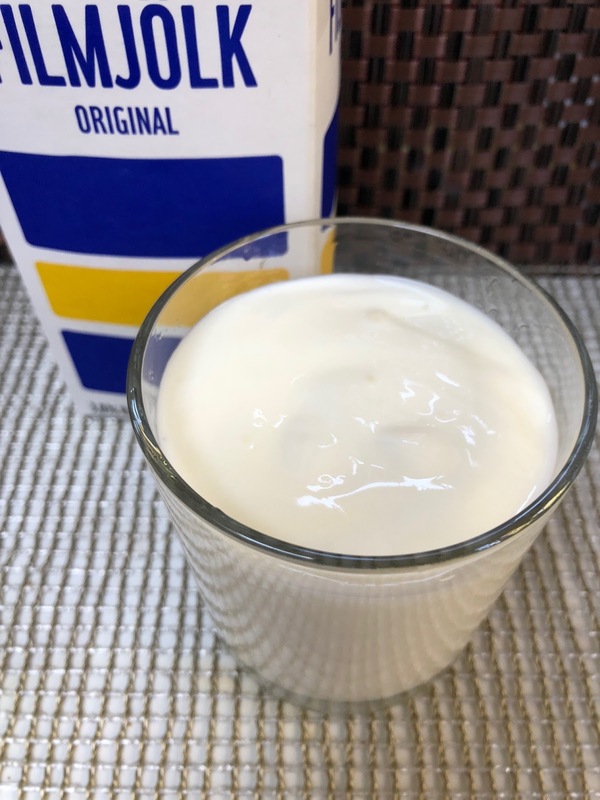 Fabulous with thick natural yogurt, topped up with granola, or just spooned over a dish of vanilla ice cream, it makes a tasty dessert. It goes perfectly well as a sauce for meatballs. 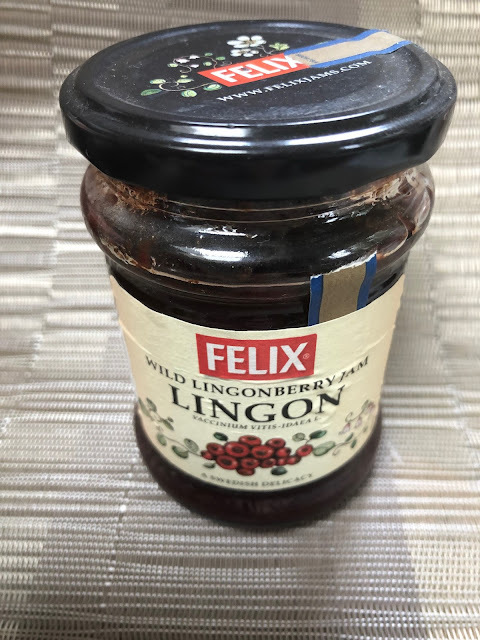 In fact, the Swedish meatballs with lingonberry jam is a classic. For the most satisfying comfort food add a big heap of mashed potatoes, gravy and pickled gherkins. What a treat! I buy it in Ocado, but I've also seen in delis. 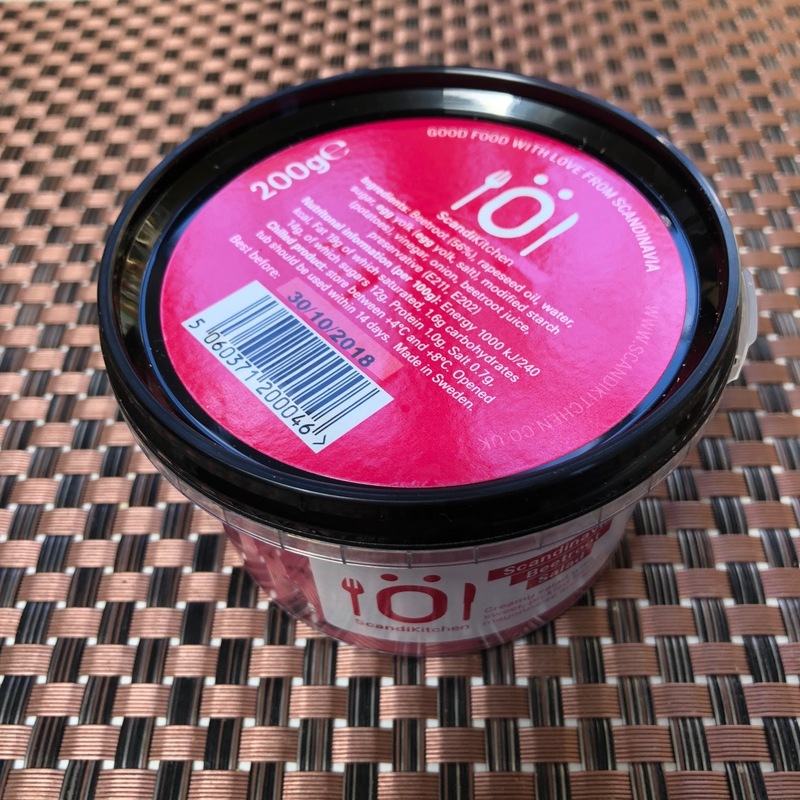 Nutritional information: 190kcal and 44g of sugar per 100g. 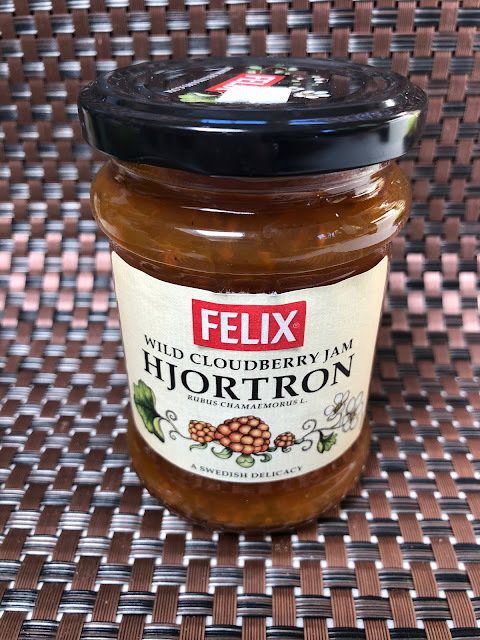 Felix Hjortron (wild cloudberry) jam. 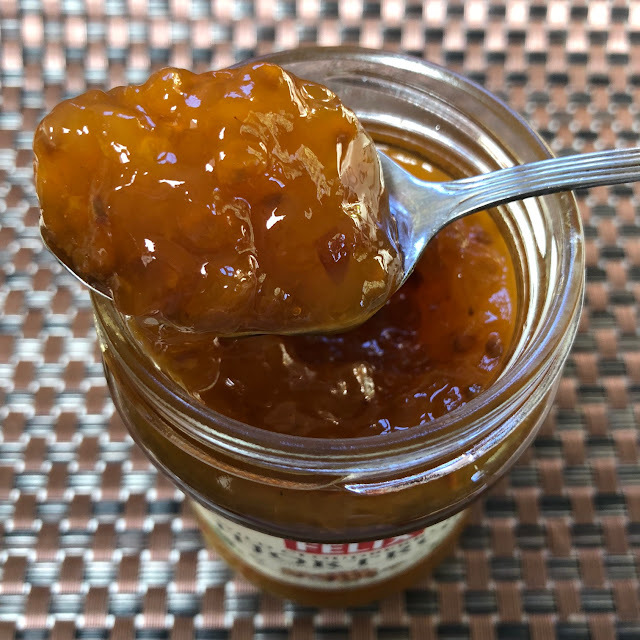 It has a lot of seeds, so if you only eat seedless jams, then don't try it. Cloudberries grow in the cold climate in the northern parts of Scandinavia. They are popular in Russia, and apparently, the cloudberry kvas and flavoured water were favoured by the Russian tsars. They make a delicious jam, which is great on warm waffles, smothered on scones or in ice cream. 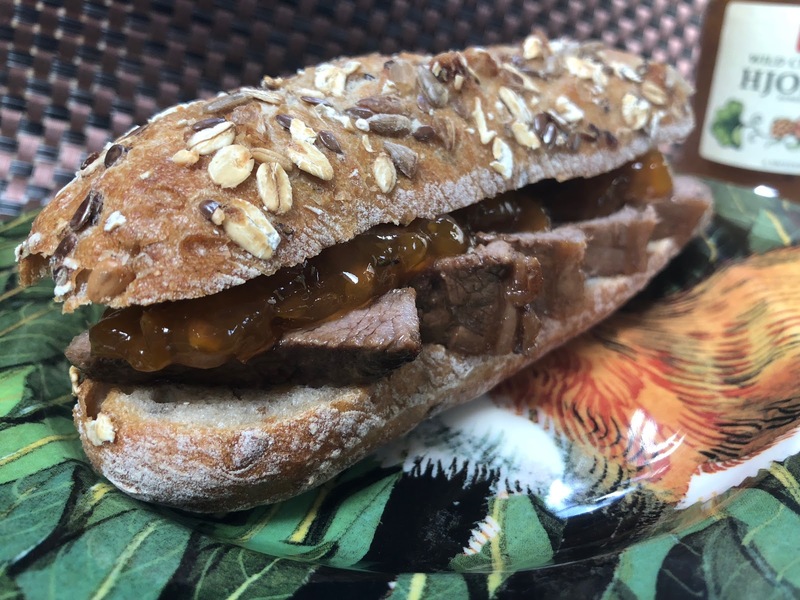 This jam turns a steak or quorn steak sandwich into a feast. All Felix preserves are available on Amazon at ridiculously astronomical prices. If you want to try any of them, visit the local delis or buy in Ocado, which often has offers for these products. If you're assembling a smorgasbord, you might want to add a dish of a beet salad to your selection. ScandiKitchen Scandinavian Beetroot Salad is a creamy beet dish. It's a mix of sweet and tart flavours. Ingredients: Beetroot, rapeseed oil, sugar, egg yolk, vinegar, onion, beetroot juice. 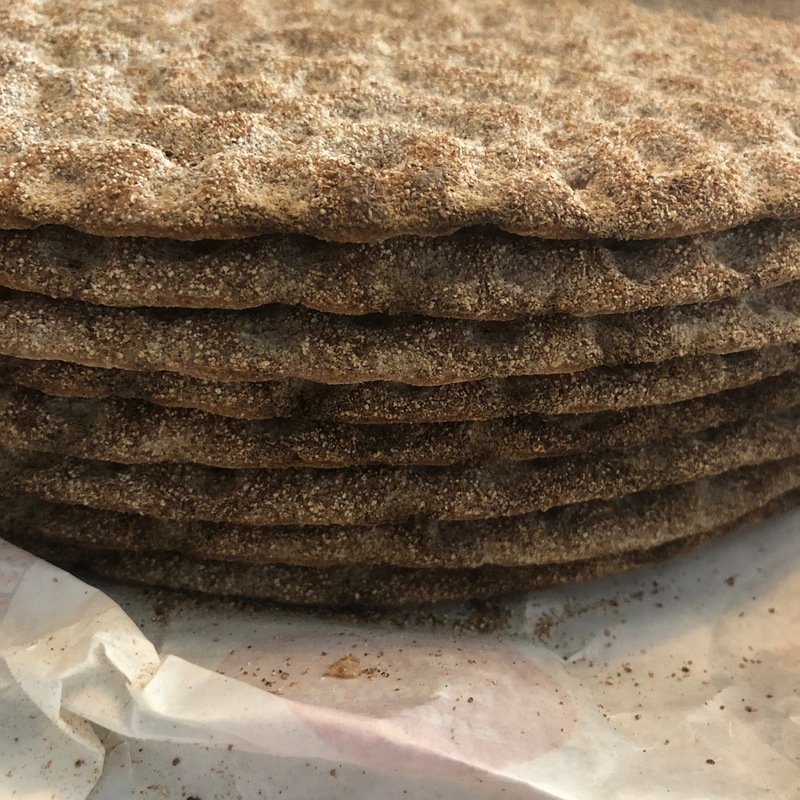 It tastes good on a slice of rye bread or crispbreads (may I suggest Peter's Yard sourdough crispbreads? Though technically not Swedish, as they are produced in the UK, they were inspired by the Swedish cuisine, and are some of the best crispbreads which you can buy here. They are my top favourite - served with any cheese, fresh grapes or apples and a glass of wine (optional)). 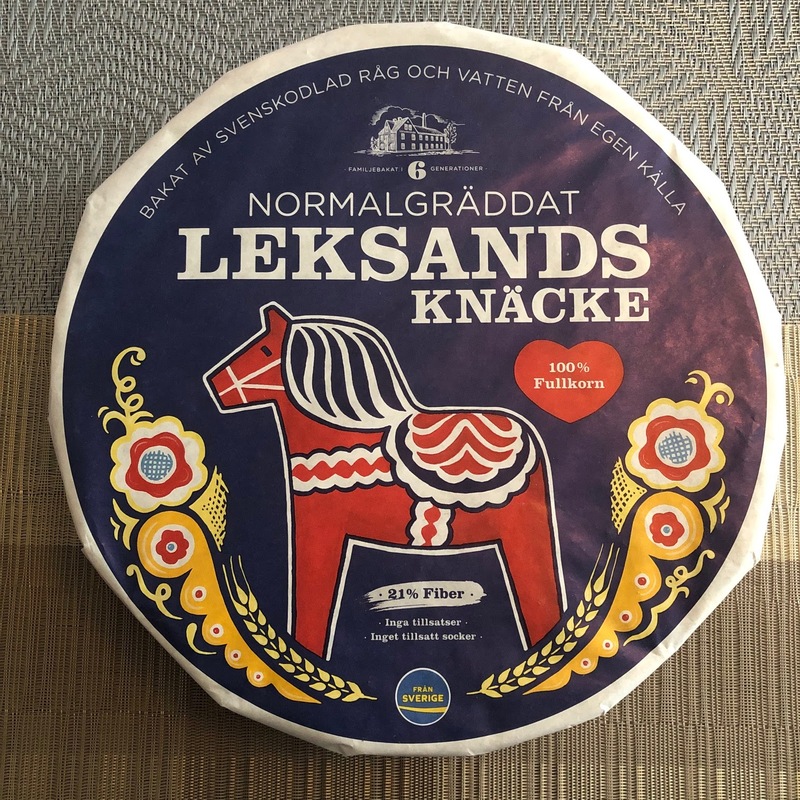 Talking of crispbreads, Leksands Knäcke is baked following a traditional family recipe, and is a great allrounder. It has a mild rye flavour, which is a great base for any toppings. I bought it in Ocado, when it was on offer a while ago. What I didn't realise is that these crispbreads are ginormous. I expected them to be the size of a small plate, but these are huge, so you'd have to break them into pieces. They are similar to Ryvita in taste and texture. 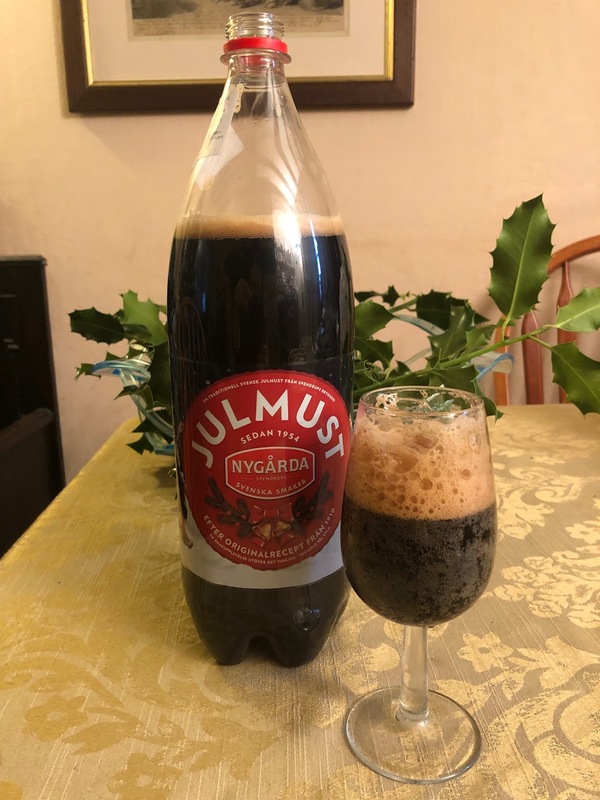 Nygårda Julmust is what I would call a Swedish reply to Coca-cola or Pepsi. It's a carbonated soft drink. In my childhood we had a similar drink in Russia called Baikal. I don't think it exists any longer. The original Swedish recipe goes back to 1910. My elder son who loves Pepsi and Diet Coke wasn't so keen on the Swedish soft drink. 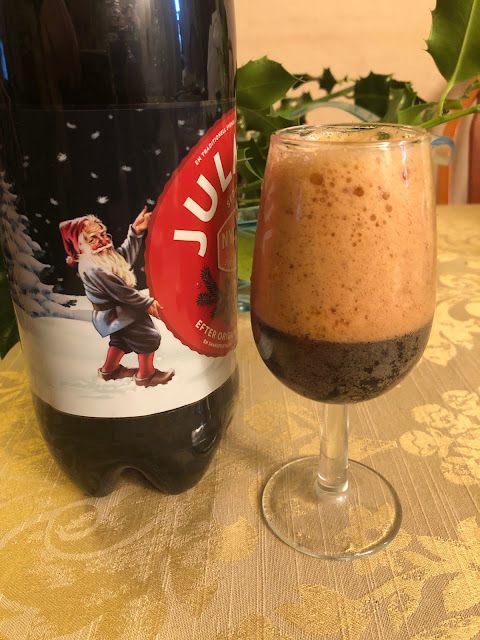 It does have an acquired taste, but it was fun to try it for Christmas. 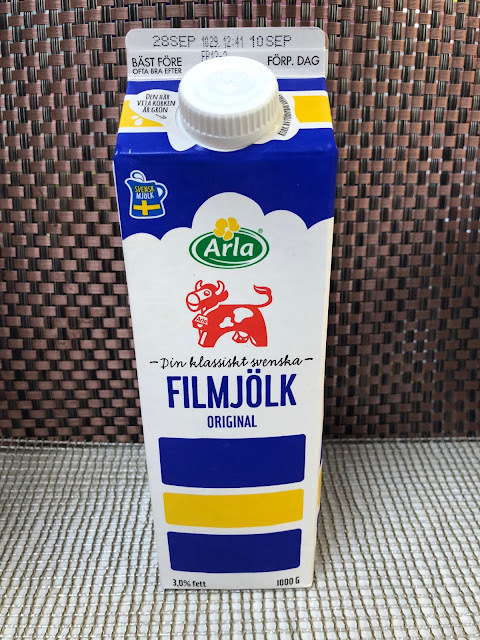 Arla Filmjölk is a Swedish style yogurt or soured milk. Ocado jokingly calls it a breakfast favourite since the Viking times. 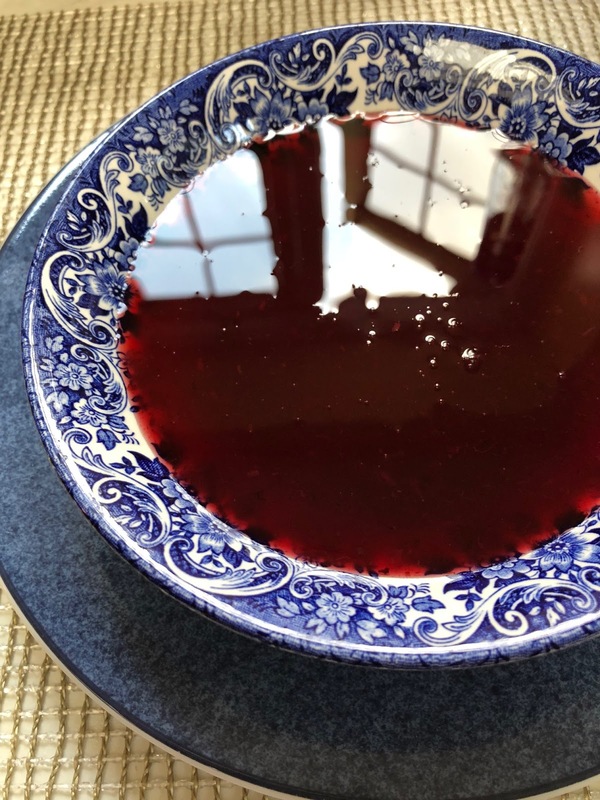 Serve it in a glass, or pour over muesli or cereal. It's a thick dairy drink, a bit like a mix between soured cream and kefir. And finally, Rekorderlig. 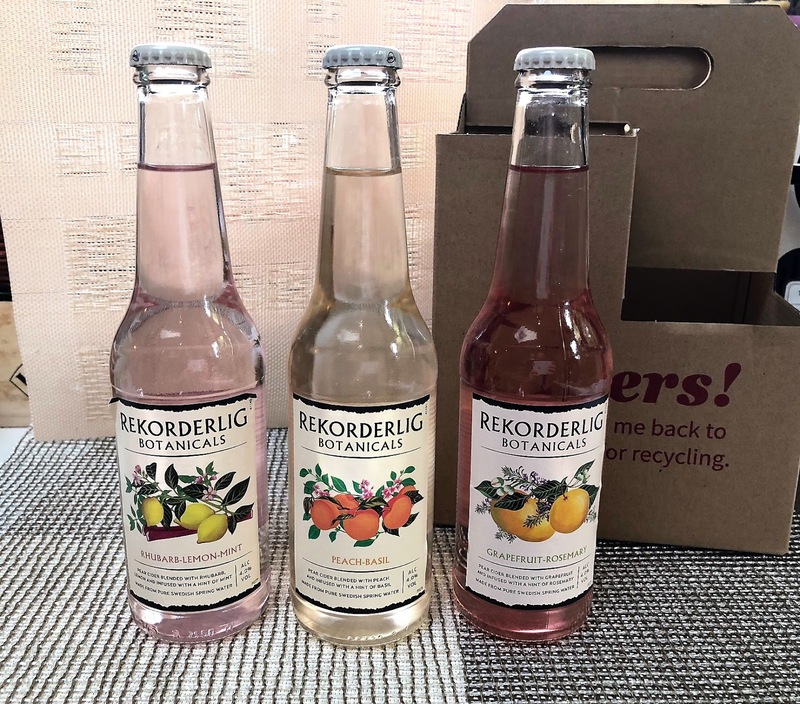 This cider brand is very popular and doesn't need any introductions. Rekorderlig Botanicals, a sweet Swedish cider, comes in a variety of fruity flavours - Rhubarb, lemon and mint; Peach and basil & Grapefruit and rosemary. Rhubarb, lemon and mint has a distinct citrussy taste, well-balanced with note of mint and tartness of rhubarb. Great over ice, with a fresh mint leaf and a squeeze of lime. Peach and basil is a sweeter cider, with a beautiful peach fragrance and a herbal note of basil. Grapefruit and rosemary is another citrus-herb combination, well-balanced and delicious. If you plan eating al fresco over the Easter weekend, this cider will be a special treat for any cider fan. I could have written a longer post, but decided to pick a dozen of Swedish foods and drinks, which have caught my attention. 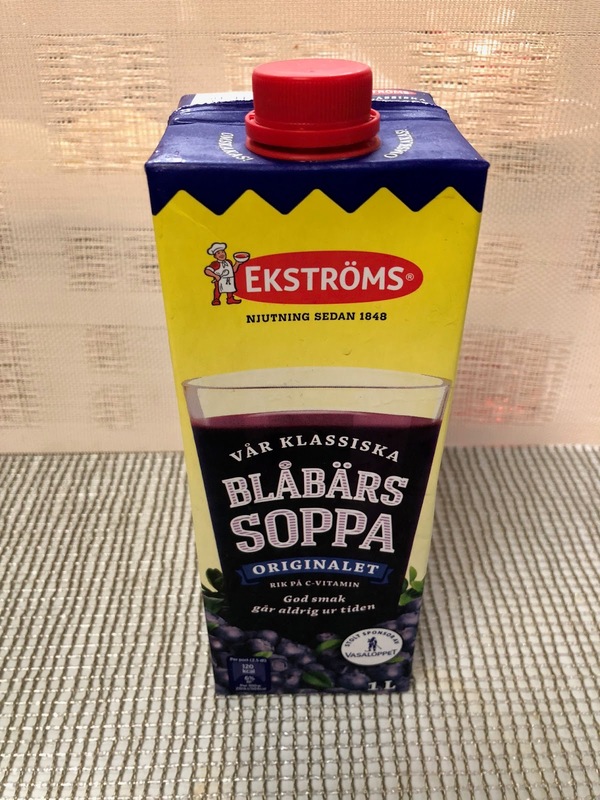 What Swedish foods or drinks would you recommend to try? P.S. This post is not endorsed by any above mentioned brand. 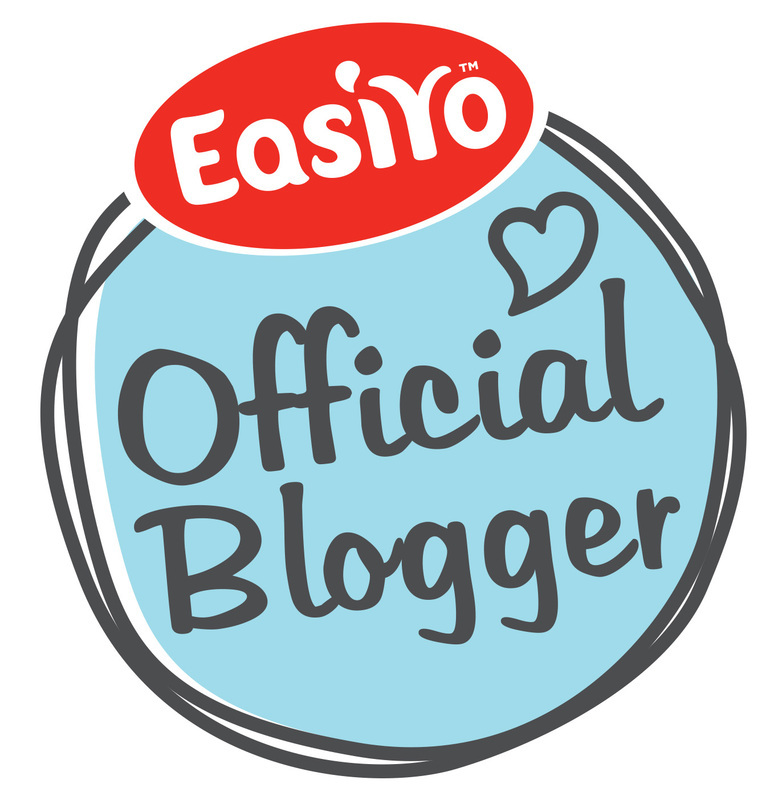 If you're a blogger, how do you find motivation to keep posting? I have about a hundred posts in my Draft folder, some of which have been there for a couple of years, and obviously by now, will never see the light of the day. I still take photos of what I cook or read, just in case I decide to blog a recipe or write a book review, but more often than not, I just can't be fussed about it. 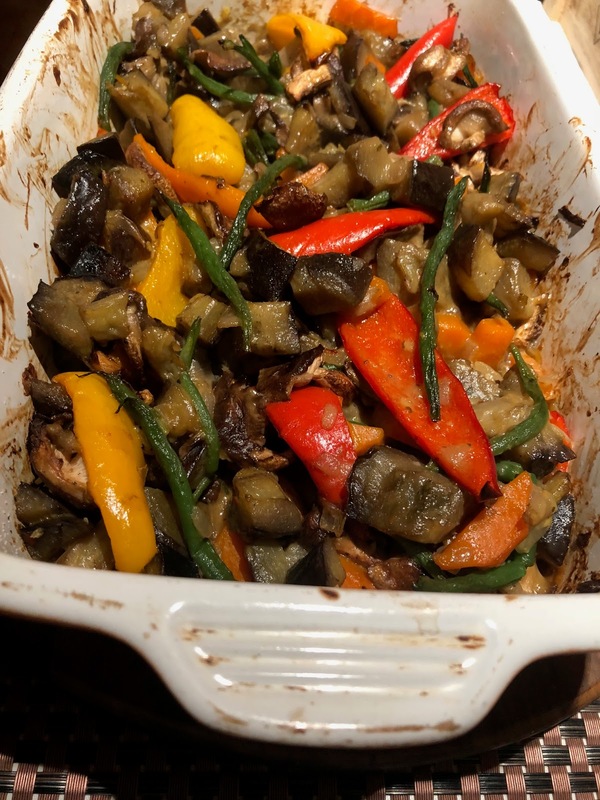 Today I've been looking at the photo folders on my iphone, trying to clear out some of the food photos, when I realised I've never posted a recipe for the aubergine traybake. Lo and behold, the actual list of ingredients was thankfully recorded. That is another one of my blogging problems, I think I would remember how I cooked something, but then I forget. I look at some photos, trying to decipher just what exactly went into the dish, but nope, I can't recollect. One of the Degustabox boxes (before last Christmas) included a sachet of Santa Maria Latin American Kitchen Venezuelan Coconut and Lime sauce. Ideally it is used in a chicken dish. Since my husband is not eating meat any longer, I need to rethink a lot of family meals and recipes. I was wondering what kind of Venezuelan vegetarian dishes I could cook. 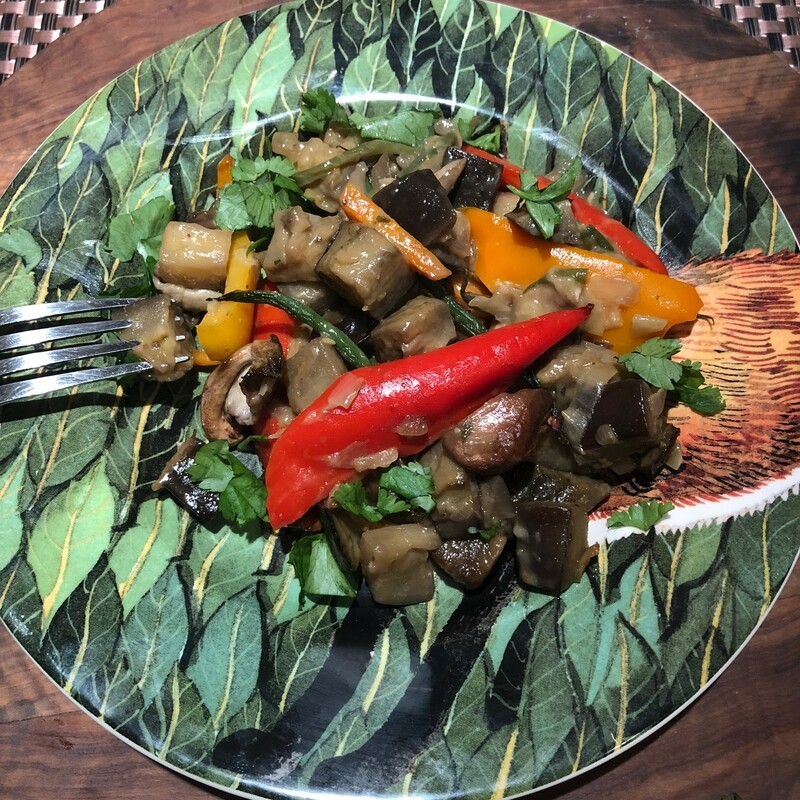 Having a quick search online, I came upon a recipe for Venezuelan Eggplant with Green Beans. What I cooked is a bastardised version of the recipe, so technically it is not a Venezuelan dish, but more of Venezuelan-inspired. Finely chop half an onion, and fry it with a thinly sliced carrot in coconut oil with turmeric. (Olive oil would be fine as well but I wanted to finish off a small tub of coconut oil). Cube the aurbergines (with skins on), add to the frying pan, and mix well. Add the sliced sweet peppers, and mix again. Spoon the contents of the frying pan into a ceramic oven dish. Mix in the contents of the Venezuela Coconut and Lime sauce. Place it in the oven preheated to 180C. Cook for about 25 minutes, until the aubergine cubes are cooked through but still hold their shape. Add the green beans (precooked in boiling water) and shiitake mushrooms in the last 5 minutes of cooking. Serve hot with a bit of fresh coriander. 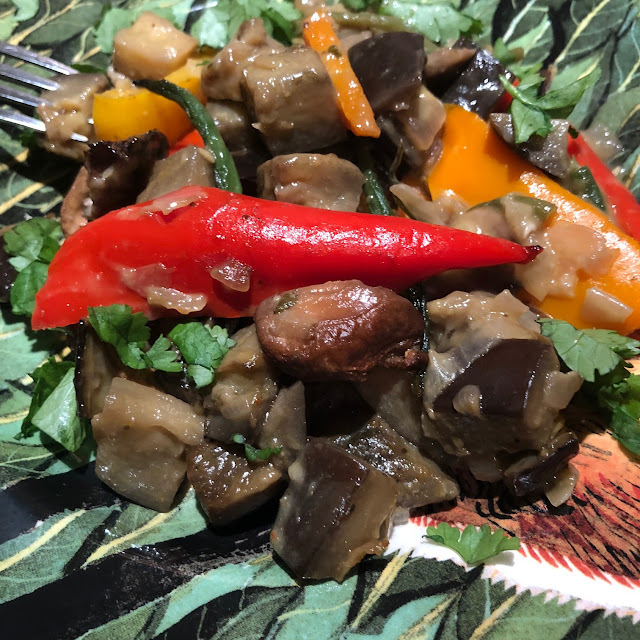 This dish is a tasty vegetarian dish, but could also make a good side dish to sausages or grilled fish. A few weeks ago there was an interesting article in the Food magazine of the Guardian, discussing the pros and cons of salting the aubergines (see Do you have to salt aubergines?). The general consensus was that there is no need to salt the aubergines before cooking, as the bitterness has been bred out. I agree. I used to salt aubergines, then rinse and pat dry before cooking, but these days they taste fine as they are. 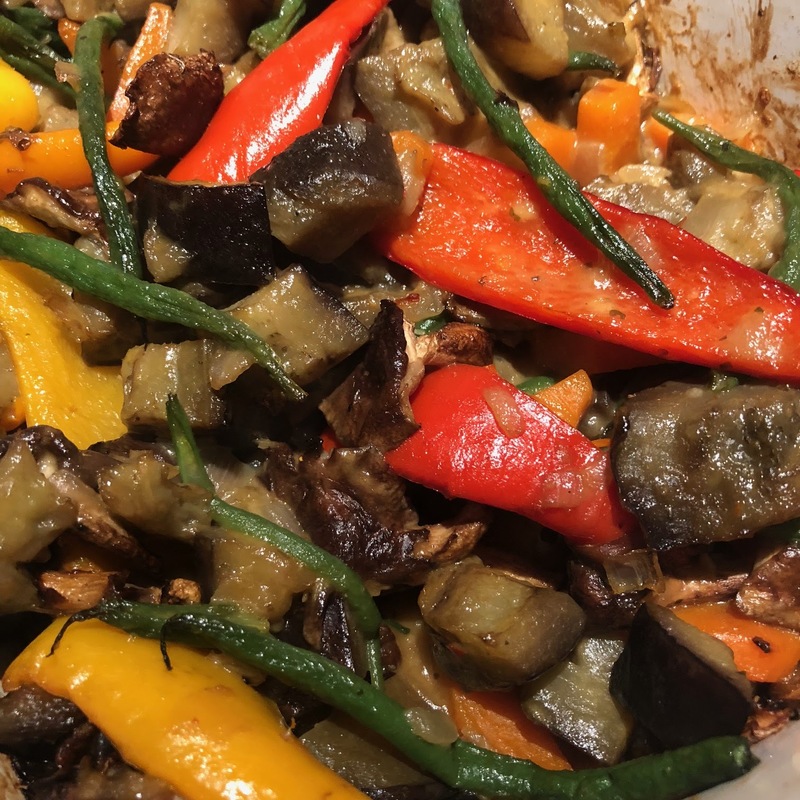 Do you salt the aubergines before cooking? Only one week into school holidays, and I'm already exhausted. It doesn't help that my dear husband is again away. I feel listless and lacking any enthusiasm. Last Sunday Eddie went to the church, and here is his creation done during the church school - Moses and the parting of the Red sea. On Monday we took our boys to Oxford. After an inevitable visit to McDonalds, we went to Christ Church college. Eddie wanted to see the hall, where they filmed Harry Potter, but unfortunately, it was closed for lunch at the time we arrived, so we only saw the cathedral. 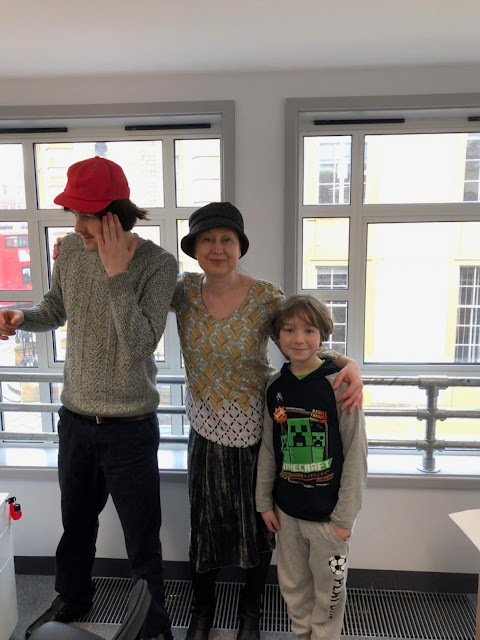 We also visited my husband's new office. At the weekend we went to The Works, where Eddie saw this Harry Potter cushion and begged me to buy it for him. For the next few days he's been putting it in each of our bedrooms as a creepy surprise in the dark. A quick visit to Costa in between grocery shopping. 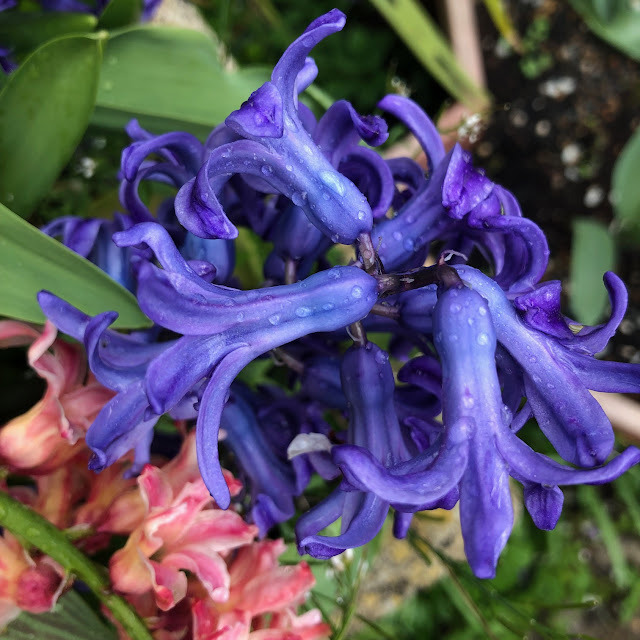 The hyacinths in the garden are almost gone by now, but the tulips are coming into full bloom. I'm a big fan of Sophie Anderson, and loved her book House with Chicken Legs. 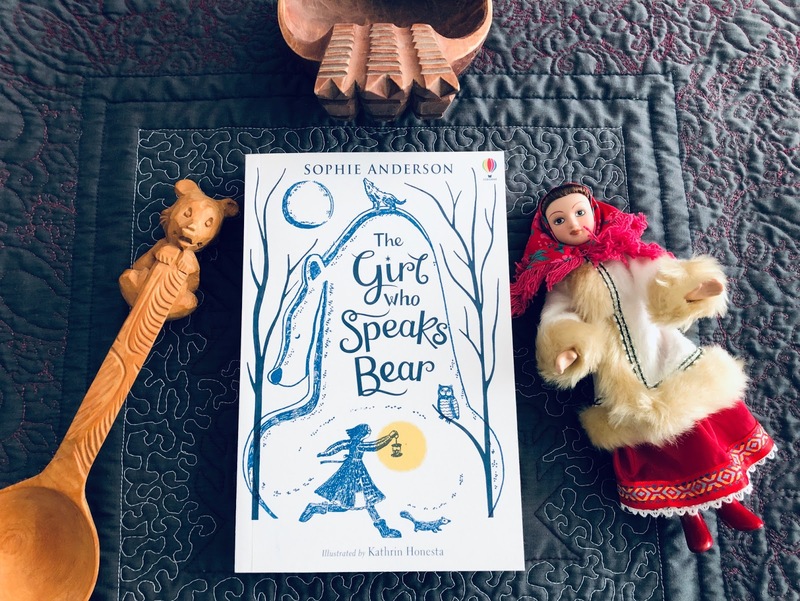 I was delighted to receive an advance copy of The Girl Who Speaks Bear in the mail. It's such a gorgeous cover design. A stressful day today. Sash wants to go out, but he doesn't want to be accompanied by his younger brother, so we're stuck at home, as my DH is away, and God knows when he will arrive. When I'm stressed, I bake. Today's bake is a good old Advocaat cake. Haven't baked it for ages, it's still as tasty as I remember. The recipe requires 250ml of Advocaat liqueur, so it's not a cheap recipe, but it's totally worth it. To say my son Eddie enjoys the Diary of a Wimpy Kid series is an understatement. We've read all books together, and he's also reread most of them on his own. 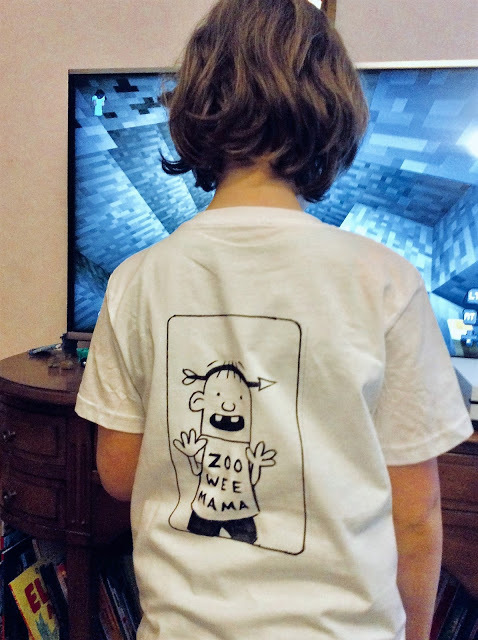 ...and he even went to school dressed in a Diary of a Wimpy Kid t-shirt for World Book Day last year. We preorder the latest books, as soon as we find out about the new releases, so we could definitely be called fans of the series. The series is rather uneven - the first books were truly funny and inspired, the later books were getting repetitive and stale. Meldown, which was published last year, was a pleasant surprise after the fiasco that was The Getaway. A few days ago, a Diary of a Wimpy Kid's spin-off - Diary of an Awesome Friendly Kid - was published (out on 9 April). As the slogan on the book posters says, There are two sides to every story. And now we have Rowley Jefferson's journal. Only it turns out, it's again Greg-centred. We already know that Greg could be a tyrant when it comes to his friendship, but in the previous books he had a lot of redeeming features. Not in Rowley's diary though. Innocent Rowley tells his side of the story, without realising just what a bully his so called best friend is. 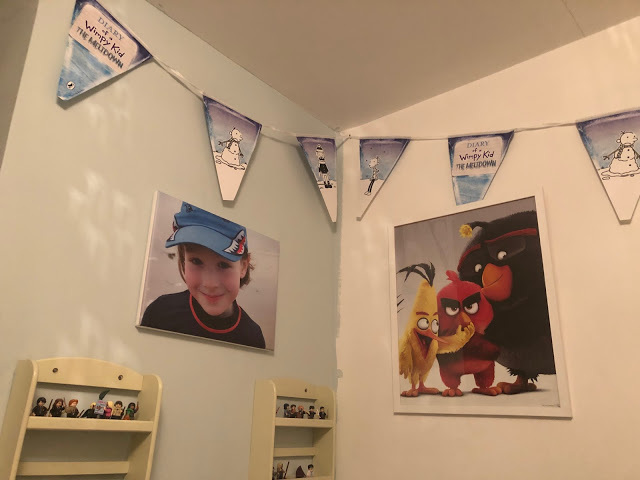 His parents could see through Greg's demeanour, but even they cannot protect their child from the nastiness portioned on him on a daily basis. He makes a lot of excuses for his friend's bullying, and thinks it's fine if friends get on each other's nerves sometimes, just because an adult told him so. There were stories - like when the boys were rehearsing maths for the next day's test, or when Rowley had a sleepover at Greg's and wanted to use the loo, and Greg didn't let him - when I was rooting for Rowley and hoping he would just leave or even punch Greg (who totally deserved it). But No, the victim didn't even understand that he should stand up for himself. There is such a power imbalance. Greg definitely has a Narcissistic Personality Disorder, with an inflated sense of his own importance and a lack of empathy for the others. A few times, as I was reading the book aloud to my son, I had to stop and say "That is so sad". 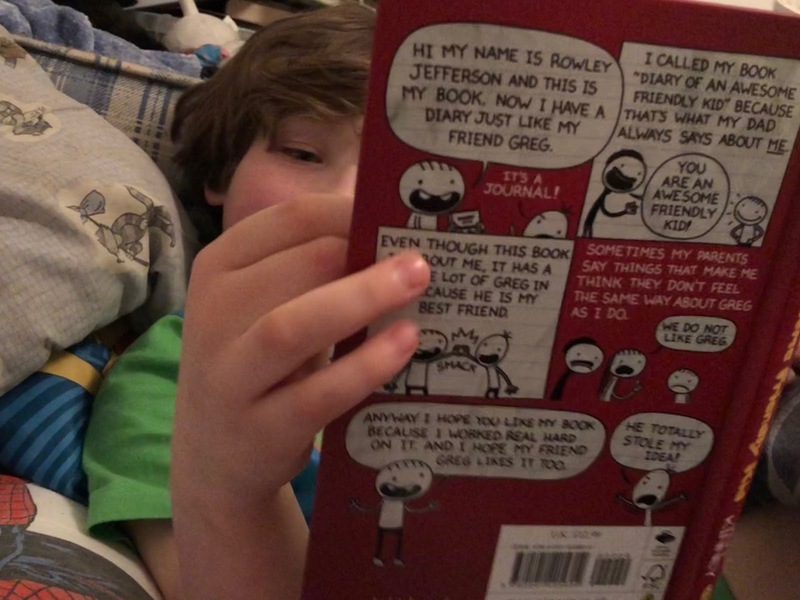 Sweet boy that he is, Rowley allows Greg to manipulate him into doing things he doesn't want to. In the whole book there is only one episode when Greg showed himself to be worthy of being called a friend. While all of this was obvious in the series before, it was manifest to a lesser degree. 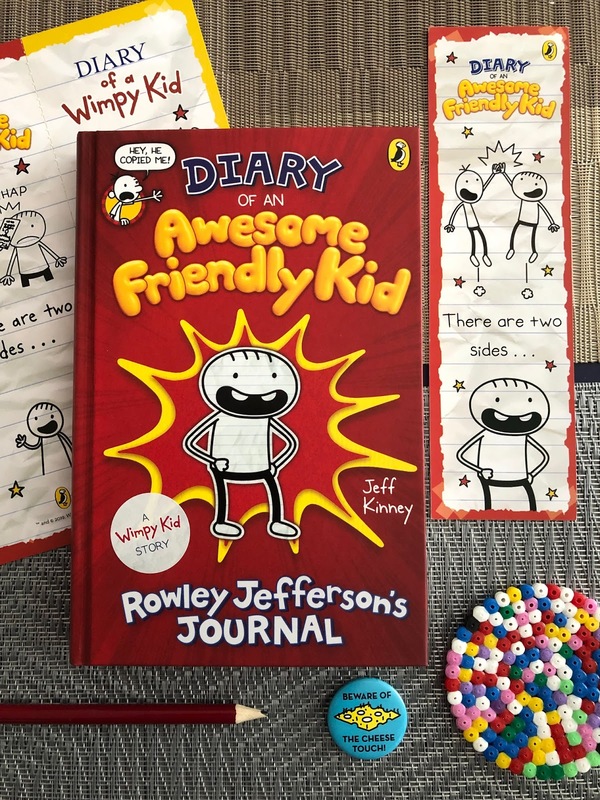 Greg did make Rowley carry his bags to school for him and do his homework, but they were also chums, having fun together, but all the fun in this book is quite one-sided. There were funny parts in Rowley's diary too. We particularly loved the pages from Zoo Wee Mama, the old comic that the boys were creating together in the past. In a way, perhaps this book should be read together by a parent and a child, with a discussion afterwards how to recognise the bullying behaviour and how to defend oneself against it. You've most likely read the phrase "Bullies are only as powerful as we allow them to be". I wonder if this book signals the slow death of the series. Have you bought this book for your kid(s)? What did you think of it? P.S. We bought this book at half price at Waterstones. Amazon offers it at half price at the moment as well. It's worth keeping an eye on the Sainsbury's book offers too. Spring is in the air: the flowers are blooming in full force. But the last week also showed just how unpredictable the British weather is. It was much colder than the previous week, with a threat of snow. We had a bit of sleet our way, but no real snow, thanks goodness. A week later after the clock change, I am still not adapted to it. I detest the clock change, it's always a real pain for me, and I don't see any advantages. 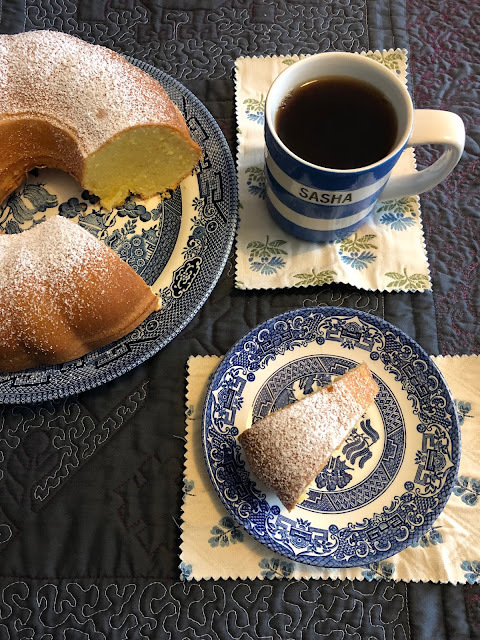 It being a Mother's day on Sunday, I was woken up with a cup of tea in bed. Now that's the first one in my life, it was Eddie's idea. Of course, they disposed of a tea bag in the bathroom, missing the target and splattering the white bin top. And who had to clean the stain later? Happy Mother's day. More butterflies visiting our garden. Don't know if it's the same one I snapped last week. My knowledge of insects is abysmal, I have no idea what the life span of a butterfly is supposed to be. I suppose, Google is my friend. And if you're as clueless as I am, I've just googled, and the peacock butterfly can live up to 11 months. So it might as well be the same one who was dancing in our garden a week before. With bees getting extinct at a scary rate, I'm always pleased to see them buzzing around in my garden. There are not as many yet as there should be later in the year, when rhododenrons and lavender will start to bloom. Then the garden will be as busy as a Michelin restaurant. 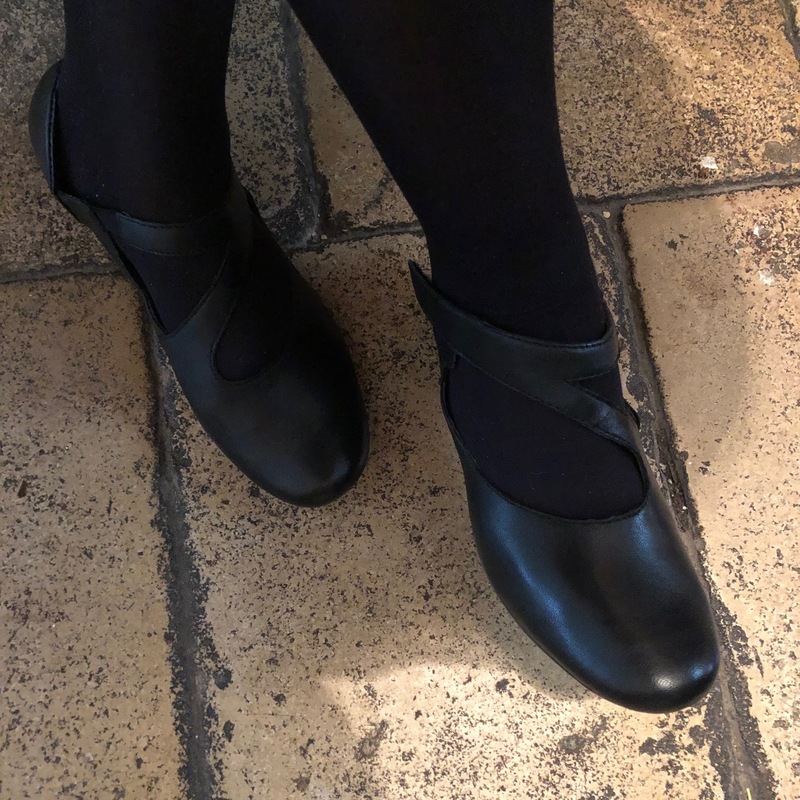 Being an unnatural woman as I am, I hate shoe-shopping, but with the weather getting warmer, I won't be able to run around in boots for much longer, and I needed a pair of new shoes. I bought the first pair which seemed to be comfy at Charles Clincard (I had a £11 off voucher). Wet, wet, wet on Wednesday. 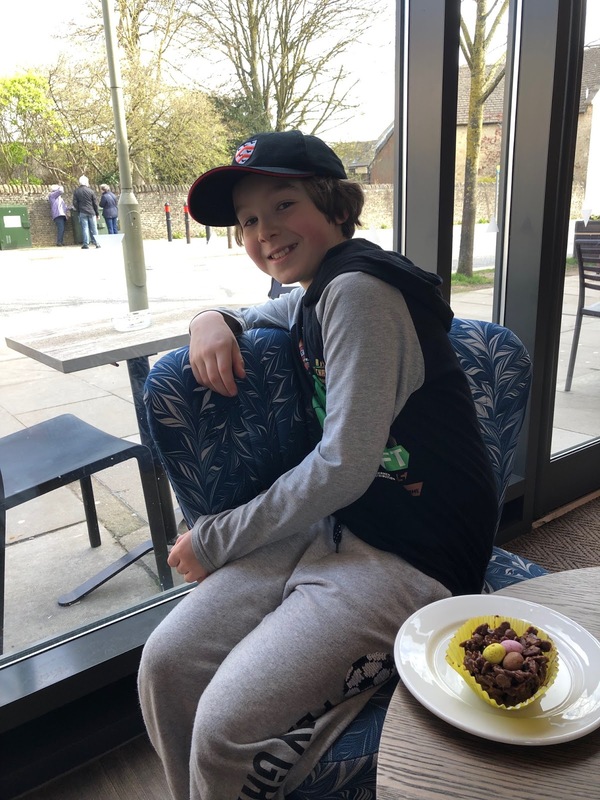 On Thursday Eddie's school held an Easter service at St Mary's church, and I tagged along. The children were good. Alas, there was one parent next to us, with a 2-year old child who kept shouting and screaming, and talking non-stop. The mother was totally oblivious that her child was ruining the service for children who have been rehearsing the performance for many days. I took a photo of the spire in the puddle, as I was running to the service. It was Sasha's respite night. 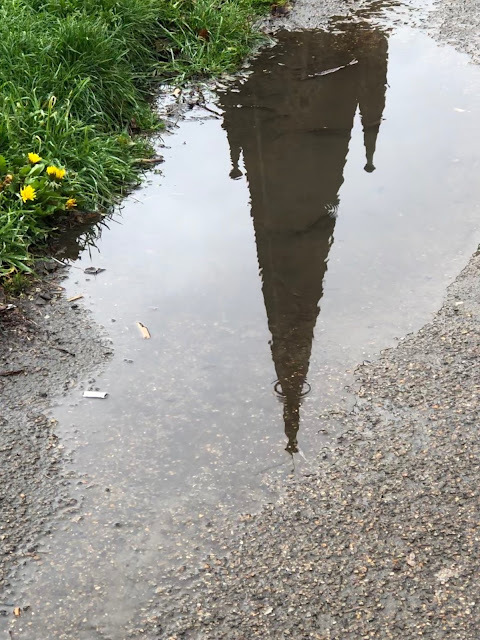 Originally our plan was to go to Oxford, but when I met Eddie after school, it was raining and so cold, we decided to stay at home and order a pizza. We watched Merlin (episode 1). Last year we binge-watched all 5 seasons, and miss it, but I don't think I'm ready to go through it again. At least not yet. 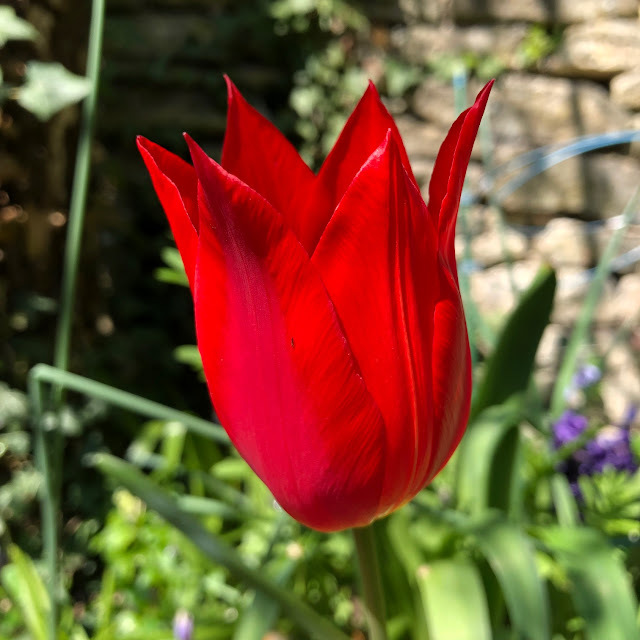 Worried about the forecasted sleet, I have covered the potted tulips and hyacinths with old bed sheets torn into pieces. 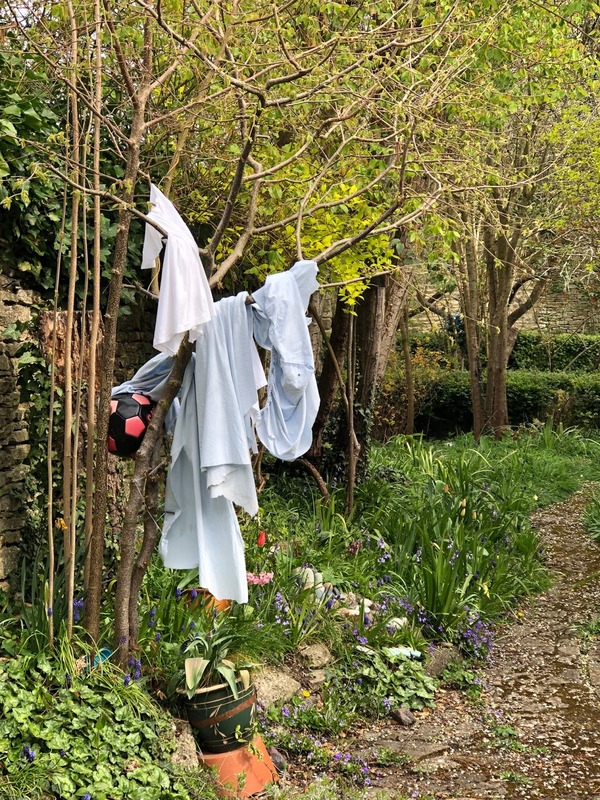 On Friday I took them off, and let them dry on the hazel tree. Eddie and I agreed that it looked like a ghost playing football (it wasn't me who placed a football there). 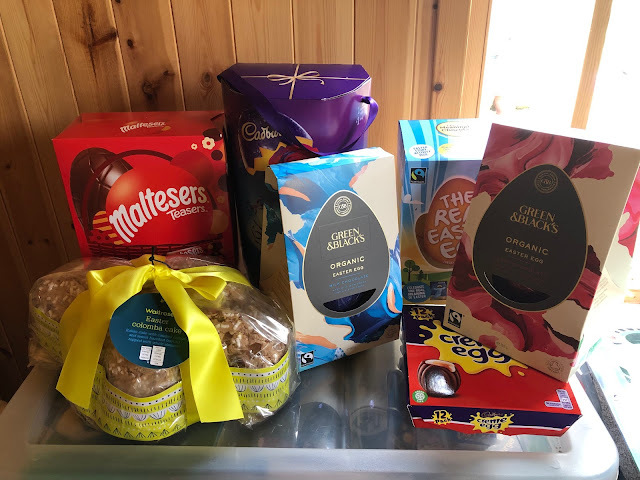 Food delivery today from Ocado - with lots of Easter eggs and a Colomba cake, all stored in the summerhouse for now, away from any temptation. I don't know if I am going to buy more. Heston's Chocolate Teapot looks very pretty, but costs £20, and I wasn't overly impressed with his Easter eggs in the last years. They always look the part, but are not necessarily that tasty. What Easter eggs are you buying this year? 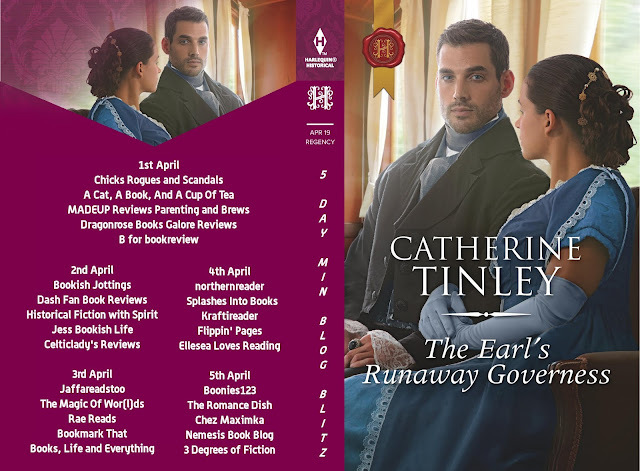 The Earl's Runaway Governess by Catherine Tinley is a charming romance story, with sparks flying all the way. Marianne Grant loses her parents and freedom at the same time. Her loathsome stepbrother Henry is appointed as her guardian. In order to avoid his lecherous advances, she flees the only home she knows for the anonymity of London. She is lucky to find a position of a governess (a miracle in itself, as she has no references). She acquires a new identity and invents a new backstory. Some details of her story are similar to her real background (i.e. she is recently bereaved), some are far from truth (she has to lie in order to cover her tracks as she is terrified her step-brother might find her). She meets her new employer, Earl of Kingswood, known as Ash to his friends. He appears brusque and unfriendly (rather like Mr Darcy). New responsibilities imposed on him by his cousin's will cause his great resentment. He never wanted the title or the big country manor, with all the ensuing powers and duties. He is a London buck who very much enjoys the ton and his circle of friends. Gradually there develops a friendship between the two. There is also an underlying chemistry, but both are wary of their social standing and the impossibility of a liaison. Marianne feels attracted to him and wants to confide but doesn't dare, especially when she comes to a mistaken conclusion. Marianne, or Miss Bolton, as she is known to everyone at Ledbury House including her charge, Lady Cecily and her mother Fanny, enjoys her job. Due to her upbringing, she knows how to run a house, hire personnel and deal with the staff much better than the empty-headed Fanny. But, of course, as a governess, she needs to keep quiet and not presume that the others might want her opinion on the matter. She often forgets her place though, which irritates and amuses Ash in equal measure. "One of the benefits, she thought wryly, of being a governess was that she was, in a sense, a nonentity. The servants did not presume to question her, as she was above their touch, and the family did not question her as she was below theirs. She sat perfectly in the shadow world between upstairs and downstairs, free to move across both worlds, yet not fully belonging in either." Ledbury House proves to be a satisfying challenge to both Marianne and Ash. There is so much to discover about the manor house, its gardens, grounds, tenants. For me the most fascinating part of the story was the world of downstairs, on how the manor house functions, all the politics of hiring and managing the staff etc. I had some minor issues with the romantic side. I know it is almost a prerogative of a romance genre that a heroine gets breathless as soon as she meets an eye candy like a Lord K with his stormy blue eyes (they are always rich and very good looking). There is a whole sub-genre of Regency romance on reforming all kinds of aristocratic rakes and titled rogues, and this novel follows the tradition. Romantic encounters sound a bit theatrical and affected. For example, when the lord and governess are travelling by coach, it suddenly swerves, with the female hurtling towards the man. "With a strangled groan Lord Kingswood closed a small gap between them and kissed her. Instinctively, and quite without thought, Marianne parted her lips and returned his fire with flames of her own. He groaned again, and Marianne felt the sound reverberate through her bones. It fanned the conflagration inside her to new heights. She was lost in sensual wonder." It's scenes like this that I find exaggerated. I also didn't warm to Ash. Without giving any spoilers, he is a rather flawed and troubled character. There is a good amount of supporting characters, who are individual and provide a compelling background to the unrolling love story. 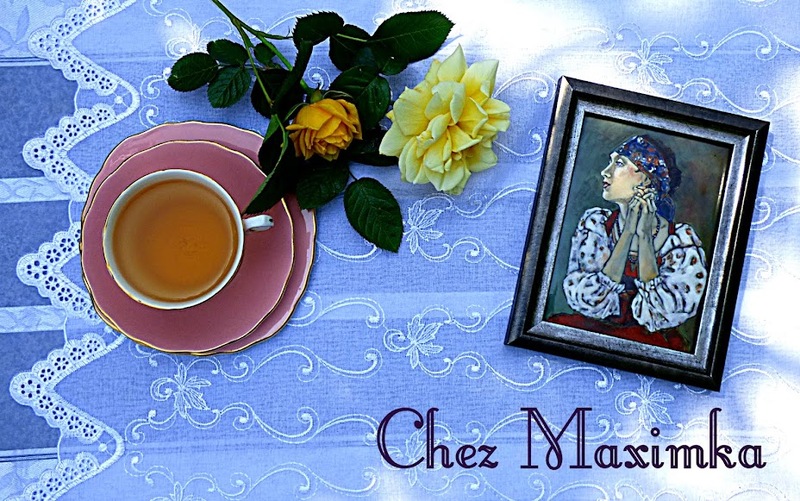 Mrs Gray, the owner of the agency who offers a job to Marianne, is a strong personality. "A woman in business could face many obstacles..." She is wise and shrewd, and knows how to operate a business. Now she is a character I'd like to find out more about, she deserves a separate story. Mrs Bailey, the housekeeper at Marianne's old home is another endearing character. Lady Cecily, Marianne's charge, is developing a personality of her own. Even her mother Fanny is not one-dimensional. She is a vain and silly lady, but she is a product of her times. Like many women of her class at that period, she doesn't have many options but marry well. When her husband dies, she has to cope with losing her home. Her daughter gets a guardian who doesn't know her at all to start with. No wonder Fanny wants the governess to teach her child how to be graceful and accomplished but not too clever so as not to scare a potential spouse material. Fast forward 200 years, we might live in a more educated era, and women have certainly many more opportunities, but many men are still feeling threatened by clever women. The plot is enjoyable, with a few surprise twists. The book is written in a style that evokes the historical period it is set in. Catherine Tinley writes Regency love stories for Harlequin Mills & Boon. She has loved reading and writing since childhood, and has a particular fondness for love, romance, and happy endings. 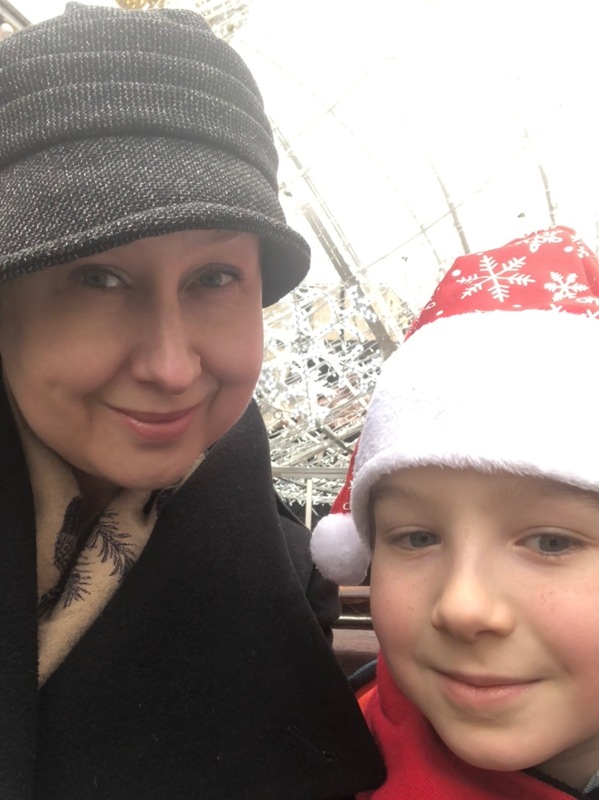 After a career encompassing speech & language therapy, NHS management, maternity campaigning and being President of a charity, she now works in Sure Start. She lives in Ireland with her husband, children, and dog. Disclosure: Many thanks to Catherine Tilney and Rachel's Random Resources for the e-copy of the book for the purposes of reviewing as part of the blog tour.